With a spire visible from more than 60 miles away, the 828-meter Burj Khalifa tower in Dubai is an example of modern engineering prowess. Hidden from view, but no less impressive, are the internal systems installed by a partnership that included Indian industrial engineering firm Voltas: a cooling network employing 34 kilometers of chilled water piping; 100 km worth of water supply pipes; 213 km of fire-fighting piping; and 5,300 km of electrical cable. Cooling the glass tower in the desert heat requires the equivalent of 10,000 tons of melting ice; the air-conditioning system installed by the Voltas partnership has a capacity of 13,000 tons. The Burj Khalifa is the most prominent in a cache of high-profile engineering projects that Voltas has earned within the United Arab Emirates. Yet there are no comparable projects in Dubai that Voltas is involved in. In the past five years, the company steadily reduced its exposure to the Gulf city and branched out elsewhere the region. The firm completed work on the massive Bahrain City Center mall, continues work on the upcoming Ferrari World theme park in Abu Dhabi, and is winning new contracts, including the US$200 million Sidra Medical and Research Center in Qatar. It was a deliberate corporate strategy to expand beyond Dubai, even when the city’s development boom seemed recession-proof. Questioned by critics then, the move has allowed Voltas to avoid losses when the global economic downturn froze many Dubai projects. Executives said the strategy partly bears the company’s tradition of consciously trying to do things differently. "We have always tended to think a little unconventionally," says managing director Ashok Soni. "Even when the Indian corporate environment was ruled by tradition and precedent, we believed in thinking matters through for ourselves." Though a member of the Indian conglomerate Tata Group, the US$1 billion Voltas has always been a bit of a maverick. While the Tatas concentrated largely on heavy industry, Voltas was set up as a marketing company with a long line of industrial and consumer products. The company had little to do with manufacturing. In 1979, only 18% of the products it sold were manufactured in-house. The products it marketed, such as dairy brand Amul, sold only too well in the Indian market, and one after another left the firm to establish themselves with their own marketing resources. "We had to rethink our core businesses," says former Chairman A.H. Tobaccowalla, who was at the helm until 2000. "We needed to be more than simply the marketing extension of other companies. Such a dependency was simply not sustainable. In other words, Voltas had to find ways to create value in its own right." Today, the company describes itself as a global air-conditioning and engineering services company. It has three divisions: air conditioning and refrigeration, electro-mechanical projects and services, and engineering products. Third-party marketing now accounts for just around 6% of its business. "Our primary mission was to be a significant provider of engineered value, whether as projects, services or products," says N.D. Khurody, who retired as managing director in 2001. "While being pitched mainly at the industrial, commercial and infrastructural segments, the mission stretches to retail-level cooling appliances. Manufacturing was framed as a key element of that identity." The change also forced Voltas to consider markets outside of India. Today, global business accounts for nearly 40 % of the company’s turnover. When it first looked overseas, the company identified opportunities in the Middle East and Asia. The Middle East seemed the easier entry. "It was growing at a faster pace," says P.N. Dhume, then managing director in 1998 of Voltas International, which was set up for the overseas thrust. 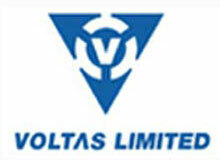 (The company was merged with parent Voltas in 2001.) "There were other advantages. The governments were friendly and welcoming. There was a large Indian population and the country was also top of mind. Most importantly, these countries were just embarking on large-scale planned development, with large budgets. Anyone who established himself early could hope for a lasting advantage." Voltas’s first project in the Middle East was installing the air conditioning system at the new palace of the Sultan of Oman. The firm then secured a contract with a Saudi Arabian township to provide all of its municipal works, including a water-supply system, a telecom network, a captive power plant and, of course, electro-mechanical service. It was a coming of age for the company and moved it to a new level of competency. In more recent times, Voltas has been involved in a number of the Gulf’s expansive high-end shopping mall projects, including the Villaggio Mall in Qatar, and Dubai‘s Mall of the Emirates, the largest indoor shopping mall outside of North America. The most visible sign of the company’s presence in the Middle East, though, was Dubai‘s Burj Khalifa, currently the world’s tallest freestanding building. In January, Voltas was awarded the sub-contract for the tower’s mechanical electrical and plumbing (MEP) work jointly with Emirates Trading Agency of Dubai and Hitachi Plant Engineering & Construction of Singapore. Voltas shared roughly 34% of the US$200 million sub-contract. The Burj Khalifa contract was a spike for Voltas in Dubai, and not because of the building’s unique shape. In 2004-2005, Dubai accounted for 70% of its total Middle East business. By 2008-2009, Dubai‘s share had fallen to 10%. "When we decided to reduce our dependence on the UAE, some observers thought it eccentric behavior, to say the least," says M.M. Miyajiwala, vice-president of finance. "But it wasn’t. After all, we were sustaining our presence. We were not abandoning the UAE, only lessening our vulnerability. As it turned out, it was the sensible thing to do." The company had an effective risk management model in place. This yielded realistic profiles of any given job’s vulnerability in terms of the political landscape, the geographical location, the economic and investment climate, and the investing party itself. Dubai was getting crowded. Competition was increasing and margins were shrinking. Growth had slowed down. Besides, Voltas‘ directors had their ear to the ground; they sensed a downturn. It made more sense to distribute the eggs in different baskets. "Some Indian companies in the Middle East do have a trading mindset," says Future Brands CEO Santosh Desai. "But from a Voltas standpoint, they probably see the Middle East as one region rather than as separate and distinct markets. To that extent it is probably a minor shift in emphasis rather a dramatic shift in focus." Adds Kimberly-Clark Lever managing director Prakash Iyer, who was earlier with Hindustan Unilever and PepsiCo: "Voltas’ relationship with Dubai was probably more transactional — on a job/contract basis. This made it easier for them to disengage. And if they did it without abandoning a client halfway — or not delivering on a contract — I don’t see a problem. They should be given credit for sensing the problem and cutting losses." Talking in general terms, Iyer continues: "Companies – multinational corporations or otherwise — take calls specific to individual markets. Quitting a market because of a recession is extremely rare because companies have investments on the ground and there is a high exit cost. Markets are not expected to be in recession forever. And when recovery sets in, companies would expect their investments to come good. If they exit, they’d find it difficult – [almost] impossible — to come back. It is not unusual, though, for companies to scale down operations in a recession." "Being there or not being there is a matter of daily visibility in the marketplace for a consumer brand," says Voltas‘ head of corporate communications, B.N. Garudachar. "Not so for a projects and services provider. For all practical purposes, we are still as present as ever [in Dubai]. Those who need to can still get in touch with us. Our office doors are still open. All key people are still there. It is by no means a pull-out." By spreading out in the region, Voltas has seen a windfall in projects. Its international operations have also been growing, with 48% CAGR (compound annual growth rate) in revenues and 50% in profits in the past four years. As of the end of December 2009, its Middle East project portfolio is estimated at US$760 million. For Voltas in its air-conditioning projects, the relevant constituency is made of up to 40 international consultants. Today, Voltas has the financial capacity to handle projects worth US$200 million on its own. The recently awarded contract for the Sidra Medical and Research Center in Qatar is an example. It is a significant jump over its US$100 million project capability a couple of years earlier. Equity research firm Prabhudas Lilladher complimented Voltas’ growth in the region, particularly in Saudi Arabia. "Voltas has a very low exposure to the Dubai market and has a larger presence in Abu Dhabi, Qatar, etc.," notes a November 2009 report by the research firm. "Saudi Arabia has the potential to become a very lucrative market for Voltas. The market potential of Saudi Arabia for Voltas is more than Qatar, Kuwait and the UAE put together. Saudi Arabia has given out construction contracts worth US$35 billion in the first nine months of calendar 2009 and for the first time surpassed the UAE. Most of the orders given out have been government orders.” Seeking a local partner in Saudi Arabia, Voltas did have a joint venture called Saudi Ensas Company for Engineering Services, but it bought up the partner’s 51% stake last year. For Voltas, an issue that will arise is integrating with the community. Most of Voltas’ staff members at these projects are Indian, though there is a good sprinkling of personnel from other countries. "We are keenly aware that we need to be part of the society we operate in," says Anil Gole, vice-president HR. But Voltas starts with a strike against it on this front. The very nature of its activities — projects — doesn’t encourage permanency. Teams come, set up shop, finish the project, and move on to the next. Particularly when juggling geographies, there are no permanencies in postings. The other way to establish a local identity and roots is to have financial partners and perhaps even listing in the host countries. "This also makes a good deal of business sense in terms of access: That’s why, even in countries like Saudi Arabia where it is no longer mandatory, Voltas is still seeking local partners," says Miyajiwala. Having completed projects overseas, Voltas is bringing lessons learned back to its India operations. For instance, in any building project, civil works account for around 60% of the project cost. The mechanical, electrical and public health components are together 25%-30%. In India, all three of these components are handled separately and most often by different contractors. Abroad, it is assigned to the same company. "This makes sense, and we are successfully introducing it in India," says Miyajiwala. "Clients benefit from such integration in terms of seamless design, smooth speedy execution, cost-efficiency, less overlap and wastage, and fewer system incompatibilities." Speed of execution is something else Voltas has absorbed from its international experience and is implementing in India. In the Voltas headquarters in Mumbai, meanwhile, Dubai is as much on the agenda as India. The journey that started in a palace in Muscat has not ended in the heights of the Burj Khalifa. "Given that construction has come to a standstill in Dubai, it would have been pointless to stay on and lose money," says Desai of Future Brands. "Come recovery, and I am sure Voltas will be back."